Canning your own fruit is a great way to get through any large quantity you may have on hand - like perhaps 25 lbs. of apricots, for example. Honey spiced apricots take the usual canned fruit to a higher level, giving you a mildly spicy, sweet, cinnamony flavored apricot. These apricots go great with yogurt cake, yogurt, cheese or spooned over some ice cream. I take the time to do one extra step before canning and that is to dunk the sliced apricots in a citric acid / water solution. This will keep the apricots from browning, something that does not hurt anything it just doesn't look very appealing. I have citric acid on hand for cheese making and canning tomatoes, so this is an easy step. 2 teaspoons of citric acid to 8 cups of water, stirred well, is all it takes. If you do not have citric acid you can also use 1/2 cup bottled lemon juice mixed with 8 cups of water instead. I was able to use my largest skillet to heat the apricots in the honey syrup, but any pot you want to use will work. I like the skillet because a single layer of fruit provided enough apricots to fill 2 pint jars, making the process of doing all 9 pint jars a bit faster. I did have leftover syrup when I was all done. If you do too, just store it in a jar in your fridge and add it to any of your favorite summer drinks - lemonade or ice tea or a rhubarb shrub. The apricots will flavor the syrup just a little and it makes a tasty sweetener. I am happy with my stash of apricots in the pantry. Canning them this way is straight forward and simple and really helps me get through a large amount of fruit in a short bit of time. 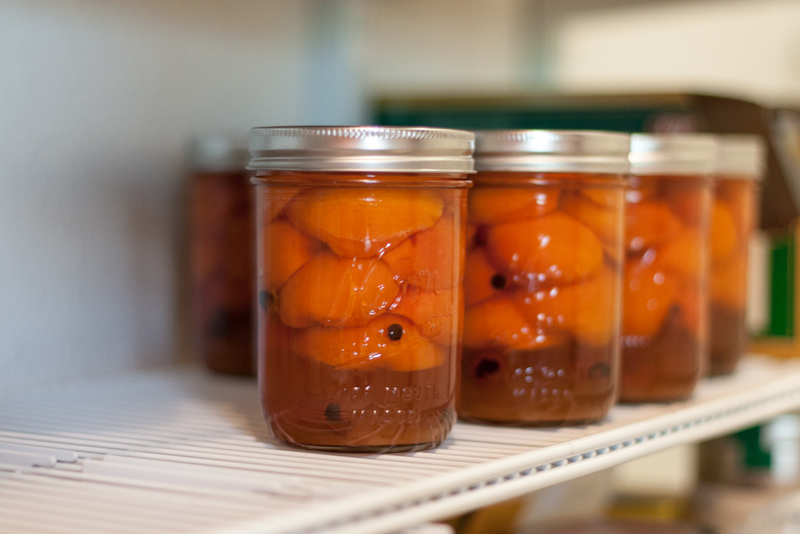 If you have any favorite ways of preserving apricots let me know in the Comments! Can your own apricots with the flavors of honey, cinnamon, allspice and cloves. Prepare your pint jars, lids, rings and canner. If you are new to water bath canning, or it has been a while, be sure to refresh your skills from a reliable and official source to guide you through this process. In a very large non-reactive bowl combine the 8 cups of water and citric acid. Stir until the citric acid is completely dissolved. Slice your apricots in half, removing the seed and stem. Wash the sliced halves in the citric acid solution. You can let them stay in the solution for 5 minutes or so, but do not store them for any length of time that way. Transfer them to a container using a slotted spoon to remove most of the solution. In a large pot combine the water, sugar and honey for the syrup. Put this over a medium flame and bring it up to a boil, stirring often. While the syrup is heating up, prepare your jars by adding 6 allspice berries, 3 whole cloves, and 4" of cinnamon stick to the bottom of each one. 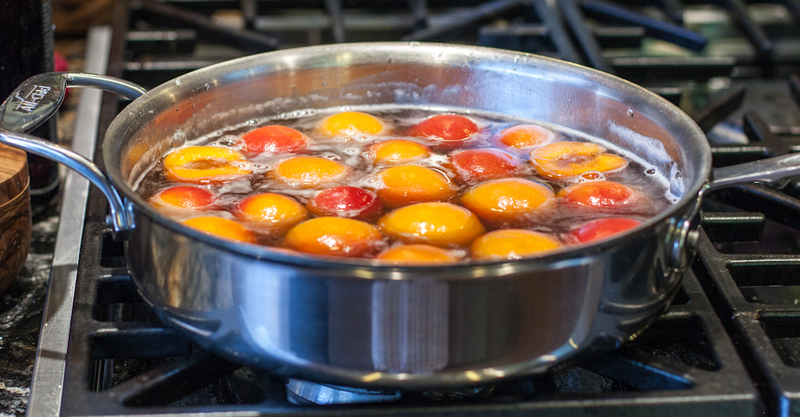 Once the syrup comes to a boil, turn the temperature down to low to keep it hot while warming the apricots. Transfer enough apricots to the hot syrup pot to form a single layer and let them sit there for about 3 minutes. Your goal is to completely heat through the apricot, but not cook it fully. 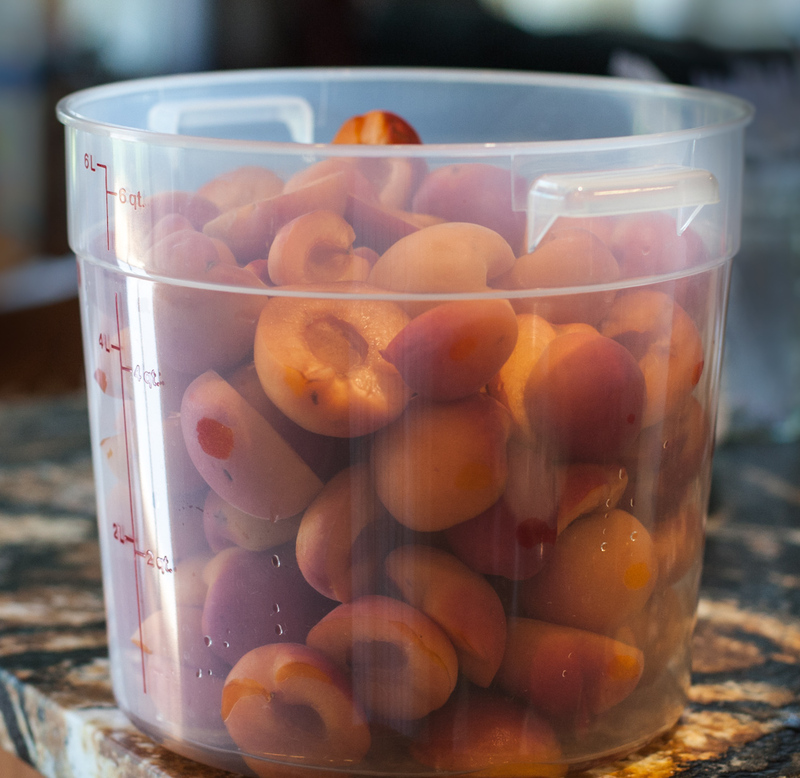 Using a slotted spoon, transfer the hot apricots to your waiting jars, cut side down. I find it is easier to arrange the apricots in the jar cut side down if it is already facing that way on my spoon when I move it to the jar. Fill each jar to the top, leaving 1/2 inch headspace. Don't be shy about pressing down on the apricots to squeeze in one more. Once all jars are full of apricots, top them off with the hot syrup. Be sure to remove any bubbles with a thin spatula, chopstock, or skewer and adjust the headspace one last time. Clean the rim of the jar thoroughly, apply your hot lid, and then the ring. Tighten the ring just until it is "finger tip tight", not too tight, but not loose either. Process your jars in a hot water bath for 25 minutes, measuring the time after the water returns to a full boil. 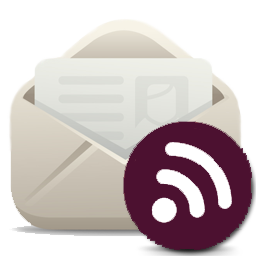 Adjust your processing time as necessary depending on your elevation. Store your apricots in a cool dark place. These apricots need to wait 6 weeks before you eat them to fully develop their flavor.